Gov. 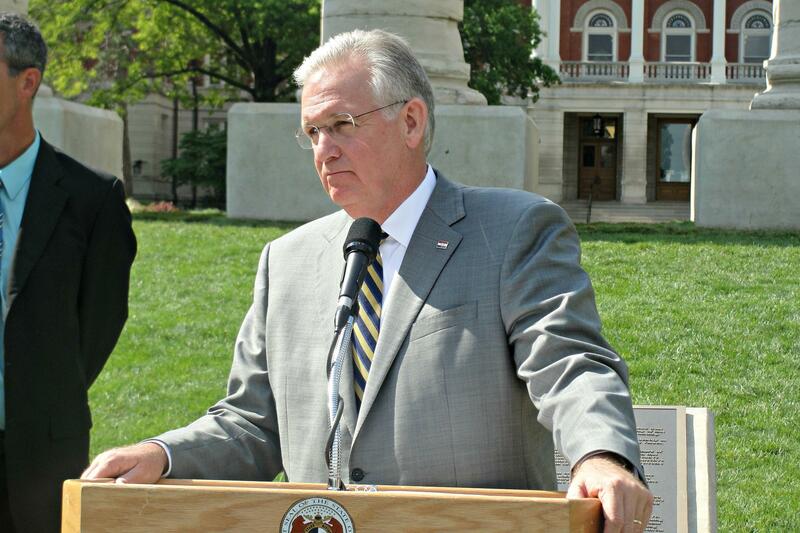 Jay Nixon appointed two new members to the University of Missouri Board of Curators. Maurice B. Graham and Phillip H. Snowden, both democrats, have been appointed to join the board that oversees the four-campus system. Snowden is from Kansas City and Graham is from Clayton. Last week, the Nixon announced the appointment of Mary E. Nelson, of St. Louis, to also serve on the University of Missouri Board of Curators, for a term ending Jan. 1, 2021. Graham is president of the law firm of Gray, Ritter & Graham and is a past president of the Missouri Bar and of the St. Louis Bar Foundation. He has served as a member and chairman of the Supreme Court Advisory Committee, which oversees attorney discipline in Missouri. Graham obtained his bachelor’s degree from Central Methodist University and his law degree from the University of Missouri. He has received distinguished alumni awards from both universities, and is a past member of the Board of Curators for Central Methodist as well as a trustee of the philanthropic Jefferson Club at the University of Missouri. He was chairman of the University of Missouri Law School’s $17 million endowment campaign. Graham also is a member and a past chairman of the Sheldon Arts Foundation Board in St. Louis. The Governor has appointed him for a term ending Jan. 1, 2021. Beginning in 1967, Snowden represented Clay County in the Missouri General Assembly for 18 years, including 10 years in the House and eight years in the Senate. As a legislator, he sponsored and passed dozens of bills into law. For more than 50 years, Snowden has practiced law and been a real estate owner and developer of housing and office buildings in the Kansas City metropolitan area. He also was a member of the Kansas City, Missouri Charter Commission and the KC Missouri Employer Retirement Board. Snowden holds undergraduate and law school degrees from the University of Missouri, and was the starting quarterback for the Missouri Tigers in the 1960 Orange Bowl game. He serves on the Economic Department Leaders Board for the University of Missouri, volunteering his time and talent to promote the Department of Economics, further its teaching and research missions, and assist with fundraising. The Governor has appointed Snowden for a term ending Jan. 1, 2021.